Yes, old wagons are the best. Even better is an old green wagon...an old green American wagon with an old green interior, and with a V8 and an awoooooooga horn. And you are gonna need that awoooooooga horn with 2 tons of steel and manual drum brakes. 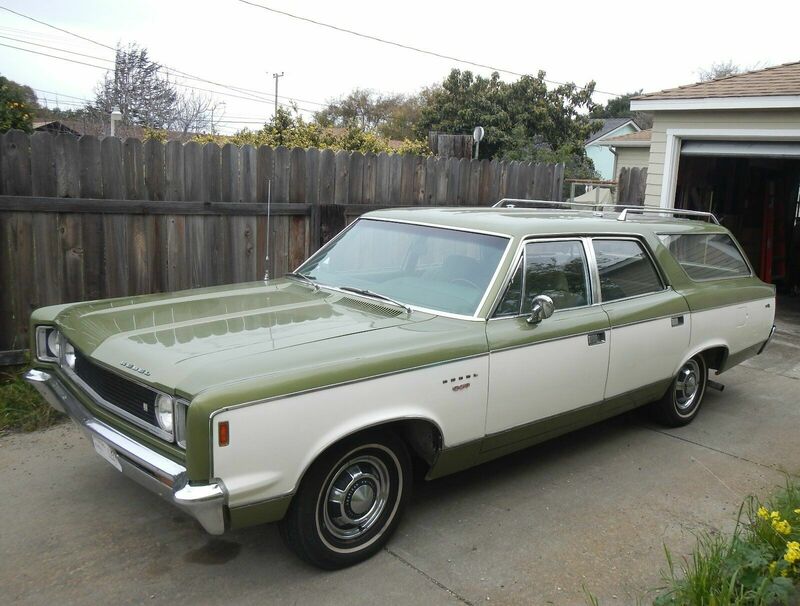 Find this 1969 AMC Rebel Wagon here on eBay bidding for $6,500 with 3 days to go, located in Lompoc, CA. 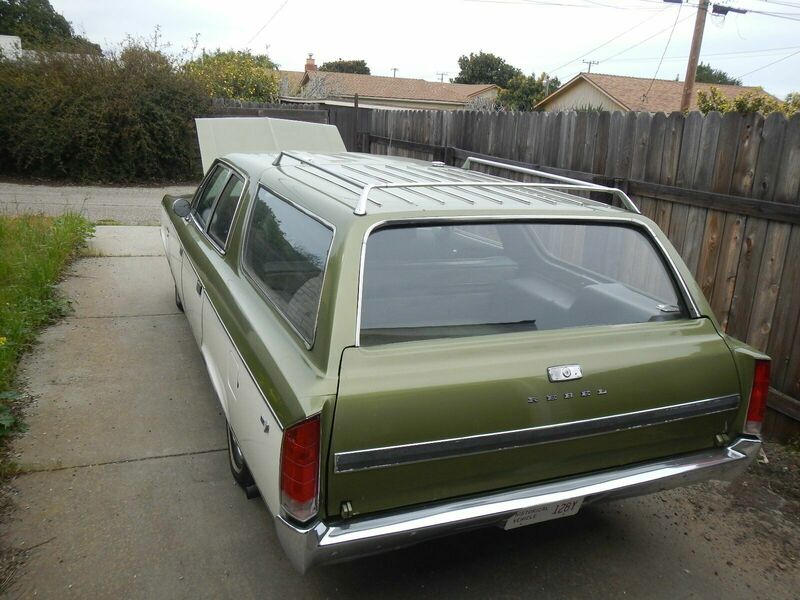 Lovely two-tone, 9-passenger station wagon from the Golden Age of Motoring, as well as the pinnacle of American Motors Corporation. Marketed originally as a "compact" wagon, the Rebel has somewhat smaller dimensions than most full-size competitors and PLENTY of pickup & power from the 343 V-8 that rates 245 horsepower. Interior is original and in fine shape, the paint is superb with a few bubbles near the rocker panels. She appears to have been repainted. The power tailgate window works with the key but not the dashboard switch and is a little slow. The Citizens Band radio isn't hooked up but the AM radio works great. Car starts & runs great, transmission shifts smoothly. Altogether very clean. Original paperwork with owner's manual plus a shop manual included in sale. hey! are all your thumbnail thingys gifs and i just dont have enough...um..memory stuffs, or is this new? sure would like to see the engine swap heart beating or that roach scuttling around as the nuke gets all kersplodie. I remember the drum brakes from that era, thanks to my Dad's also-"intermediate"-sized Ford Torino 4-door. Truly terrifying! My 69 Malibu convertible had 4 wheel drums and it never had trouble stopping the first time. Coming down the grapevine on 5 towing a house trailer was the only time I ever even thought about it. The radiator on that car was a real pain on the other hand. Come to think of it, that trailer was like a big parachute.